Ahh, who doesn’t love a beach bonfire? In my opinion, there is nothing better than sitting around a fire with your closest friends, laughing about old memories, and making new ones. It is one of the most de-stressing and relaxing ways to end a long, hot, summers day. However, the process of getting ready beforehand can be a little more stressful… So, today I’m helping a gurl out and giving you my 5 practical, go-to, beach bonfire looks, that will ensure all eyes are on you. First things first – hair. 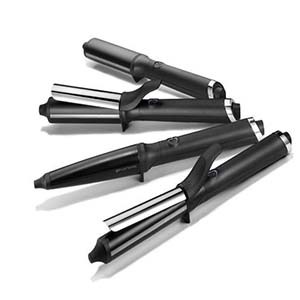 I have been absolutely loving the Curve Creative Curl Wand by GHD, $149.25. I will admit that it is more on the pricey side, but it is fantastic for gorgeous, flirty, beach waves. The wand is thinner on the top and gradually gets thicker, going from 23mm to 28mm. This helps you achieve a much looser, voluminous curl. I have always considered tighter curls more festival appropriate but looser curls are definitely better for the beach. Fly-away hair can get annoying, especially in the heat, but this wand gives you a very smooth, frizz-free look. It also creates incredibly long-lasting curls(mine didn’t fall out until I washed my hair). So yes, it is expensive, but in my opinion, definitely worth the investment. My next go-to beach bonfire product is bronzer, I can’t live without it. 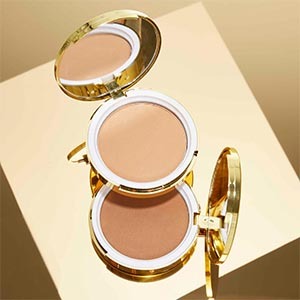 I particularly love the Coffee Bronzer by Winky Lux, $20. Not only does it truly mimic the smell of coffee (which is absolutely divine), but it is also a great powder for contouring. It is subtle when first applied, but is extremely buildable, so you can make it as dramatic as desired. It doesn’t clump, get patchy, cakey or muddy – leaving your complexion free of shine and oil. Making it the perfect bronzer for a bonfire beach party. My personal favourite shade is Mocha, but they have a range of colours to suit everyone, whether you have a paler or darker complexion. In the evening, it is easy to forget about wearing accessories, but it really is the perfect time to chuck on some jewellery. I feel like wearing a necklace can either make or break an outfit. In saying this, I’ve found one which is sure to add some dimensions to your outfit. 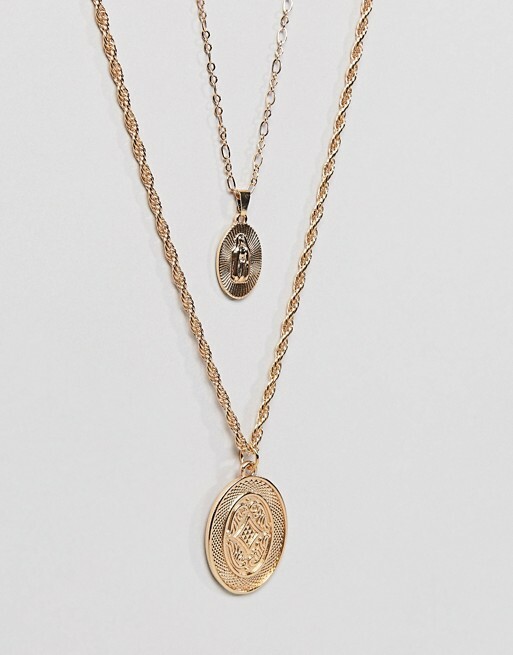 This is the Double Layer Necklace by ASOS, $22. The gorgeous pair have patterned pendants and a tiered design. I particularly love how easy the necklace is to clean (you simply wipe it with a damp cloth), making it extremely practical for a sandy environment. Also, the necklace has an adjustable chain length, which is great because long necklaces can sometimes get annoying when you want to have fun at the beach. My favorite makeup product for beach bonfire chills are the Lip Velour Matte Lipsticks by Winky Lux, $14. 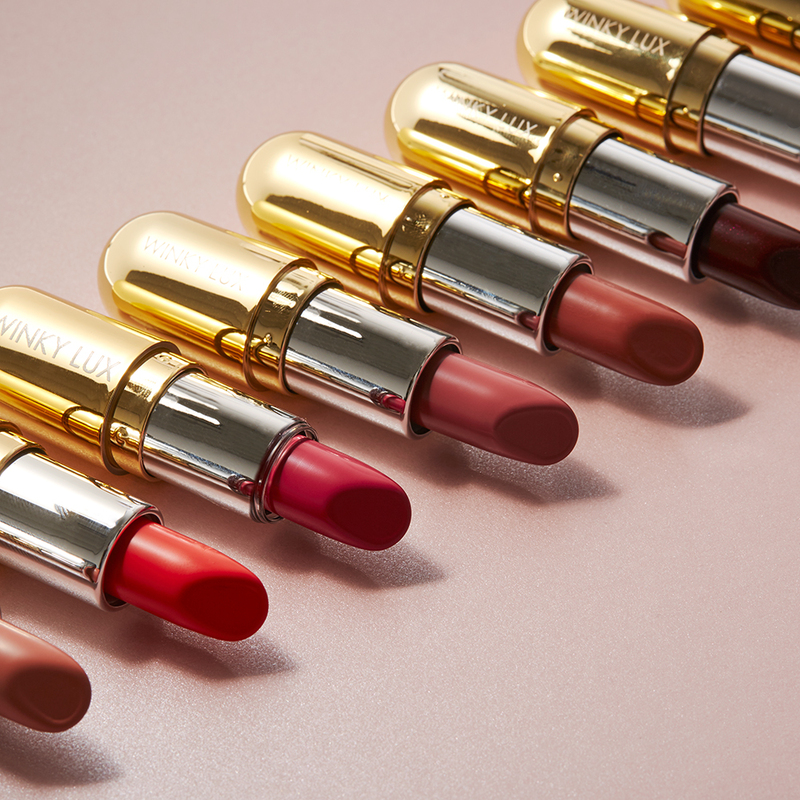 The burgundy lip product would look so perfect at night and is super moisturizing because of the natural vanilla, which is great because my lips always get so chapped after being at the beach. My favorite aspect of this lipstick is how the shade compliments every skin tone. This is obviously a fairly daring, bold shade, but I absolutely adore it. If you are less adventurous with makeup, then you can also dab the shade onto your lips, which will give you a subtler look. It is highly pigmented and although it is matte, it does have a very slight shimmer, which is super cute at night. Finally, I had to add an item of clothing to the list. I love the Zoe Tropical Floral Cut out Maxi Beach Dress by Boohoo, $36. The reason I think this is great for a beach bonfire look is because it’s girly, summery, beachy, but still covers you up which will protect you from the sea breeze. Choosing a nice bikini can be difficult, but you definitely need to feel body confident when strutting up and down the beach. This two-piece is super cute and versatile. It really is the perfect balance of cute and girly, while being elegant and sophisticated at the same time. Simply desire to say your article is as astounding. The clarity to your submit is just cool and i could suppose you’re knowledgeable on this subject. Fine along with your permission allow me to clutch your feed to stay up to date with forthcoming post. Thanks 1,000,000 and please keep up the gratifying work. Hello there, I discovered your web site by way of Google whilst searching for a comparable matter, your website came up, it appears great. I’ve bookmarked it in my google bookmarks. Thanks , I’ve recently been looking for information approximately this subject for ages and yours is the greatest I have came upon so far. But, what in regards to the bottom line? Are you positive about the supply? Thanks , I have just been looking for information approximately this subject for ages and yours is the best I have found out so far. But, what in regards to the conclusion? Are you positive in regards to the source? Specific unmistakable affiliations like Taxi, adaptable eticket, Airport Lounges, Air ancillaries, cost reports, and so on can be adequate held. Apple phones and iOs are not immaculate wherever. Most applications require amazing settings and web settings for iOs. The charger isn’t open wherever nor is the structure. bandarq merupakan diantara ragam judi uang asli yang paling banyak disukai. Banyak taktik yang dapat kita lakukan supaya menerima uang yang cukup banyak dari situs poker. situs poker online juga memberikan sebuah kenyamanan ketika kita memainkannya. Ada hal yang perlu kita perhatikan saat melakukan agen poker. My coder is trying to convince me to move to .net from PHP. I have always disliked the idea because of the expenses. But he’s tryiong none the less. I’ve been using Movable-type on several websites for about a year and am anxious about switching to another platform. Endeavor it at this moment and get the most befuddling stay alternatives for your family and friends.Hiring a more diminutive application improvement affiliation is the correct choice, at any rate it continues running with its complexities. I just want to say I’m very new to weblog and certainly enjoyed you’re web-site. Probably I’m want to bookmark your blog post . You definitely come with really good articles and reviews. Many thanks for sharing your web site. I simply want to say I’m new to weblog and seriously enjoyed you’re web blog. Probably I’m going to bookmark your blog post . You surely come with fabulous writings. Many thanks for sharing your website.